The hi 98107 (phep), which is the result of over two decades of research & manufacturing experience, is the updated version of our widely popular 96107 (phep). today the redesigned phep series feature a rugged & ergonomically enhanced Casing that fits comfortably in your hand & a larger LCD which makes it easier to read at any Angle. With the latest innovation of a non-clogging Fiber junction the new phep meters last much longer. Simply pull out 1-2 mm (1/8 in) of the junction Fiber to completely renew the junction. 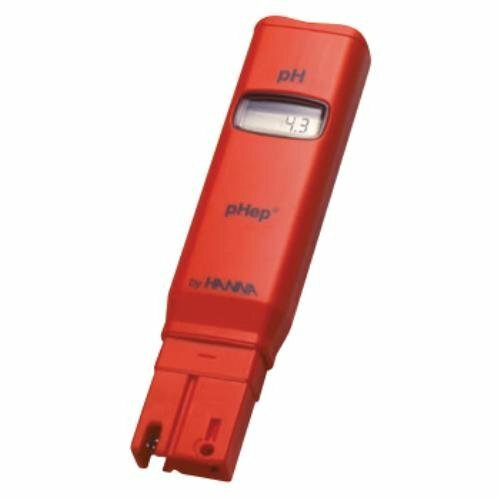 The phep offers a range of 0.0 to 14.0 pH & an accuracy of 0.1 ph. This Tester is calibrated manually to 2 points. If you have any questions about this product by Hanna Instruments, contact us by completing and submitting the form below. If you are looking for a specif part number, please include it with your message.